In early 1996 Chaka won the coveted Capital Listeners' Radio Poll Award (British equivalent to Tony) for Best Actress for her role as Sister Carrie in the London-based musical, 'Mama I Want To Sing', - a role that not only had this Catholic girl belting gospel songs but acting as well. Chaka Khan is also a talented song-writer, and to complete the lineup on 'Epiphany' are three more songs (the last 2 co-written by Chaka!! ): "Your Love is All I Know," "Every Little Thing" and "Something Deep" Of songwriting she says, "When I know I have to write a song I'll do anything else. But once I get into it, I don't want to stop. It kind of reminds me of schoolwork or something - but I love to write, and I've been doing quite a bit of it lately." And what of the magical process that occurs I the studio when Chaka enters to sing her vocal, an occurrence she has in the past described as something close to a religious experience? It might surprise some to know that a little bit of ignorance goes a long a way in capturing the magnificence of Chaka Khan's voice. Explains the singer: "Spontaneity has always been a good thing for me. When I'm recording, I listen to the demo as little as possible, so I can go in with a little bit of ignorance as to what the song has to offer. I look at it as an overall map, and I work out the little road maps and streets once I get in the studio. It doesn't take long. I just sort of throw my head back, open my ears and go for it. The quicker I do it, the better I feel. I like to keep a human quality there." Her 1998 offering, "Come 2 My House", is a unique blend of seductive love songs, funky dance tunes and personal lyrics that invite you into her sanctuary. With two musical giants, The Artist formally known as Prince and Larry Graham, by her side, Chaka delivered her first labor of love. She enjoyed the freedom of producing each song to her liking, and the results are outstanding. Come 2 My House bears unmistakable marks of the deposed Prince's involvement, it's also more rough and ready than his own New Powersoul CD, which preceded it by a few months. Chaka sounds inviting--literally so on the title track, which finds her proffering "some really good beer or a glass of wine" in a manner even a teetotaler couldn't resist--but also like nobody's fool. "I'll never open my legs again," she asserts, "unless I'm really sure." 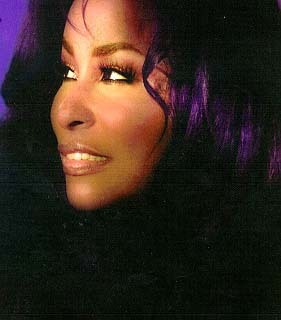 In 1998, Chaka returned with her legendary vocals to let us know what 'hot caramel' would sound like if it had a voice!! Mmmm! !